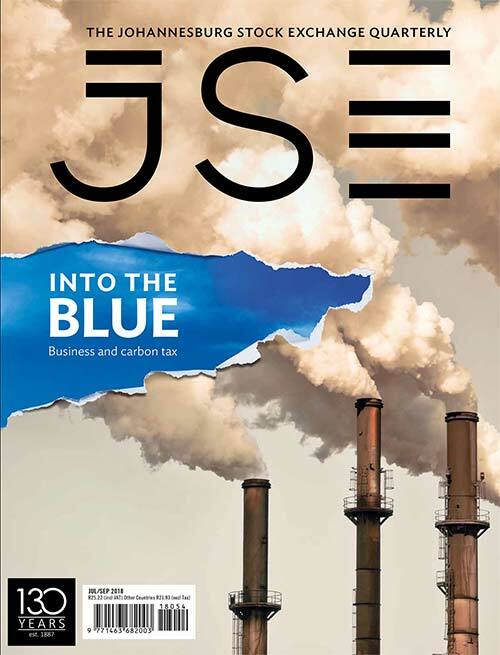 The JSE’s technology sector is by its nature one of the fastest-changing. In decades gone by, computers and then networked computers disrupted filing cabinets, business letters and telephones. Now computers are being threatened by newer ones – or rather, by high-speed communication and data storage devices, which need no additional hardware or software. All manner of new technologies have sprung up, such as the analysis of pre-existing big data that can be inexpensively stored in the cloud, 3D printing and industrial robotics. The big players that traditionally provide data storage, networking and maintenance through overarching platforms by way of big contracts are also open to challenge from newer, nimbler rivals. The capital-light nature of the sector makes it vulnerable to start-ups. The rise of niche software applications that simply slot into modern platforms – much like the apps on your mobile phone – is another concern. For IT companies, the job is to sort the wheat from the chaff, or the fad from the proven new technology, with a demonstrable ability to cut costs and boost sales at corporate clients. At the same time, companies are grappling with how long to hold onto the waning but still profitable older technology offerings. The reality of the SA-listed technology sector is that it mostly does not play in the high-risk, high-reward space of creating original software and equipment. Rather, the industry is largely a reseller, implementer and servicer of imported software and hardware. 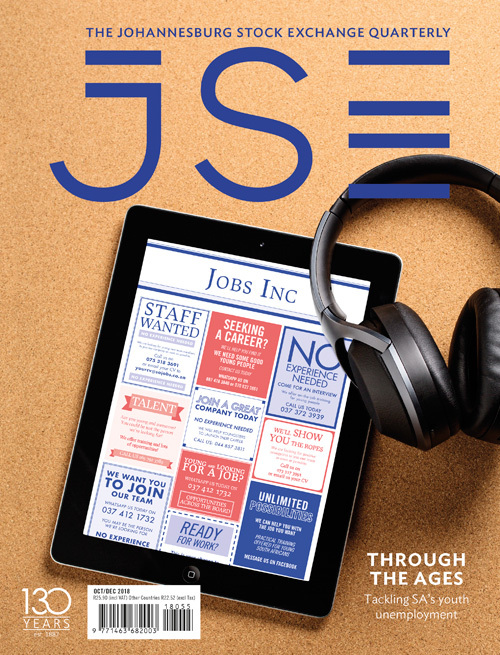 The listed technology sector in SA is mostly made up of software and computer services companies, while there are a handful of distributors of technology hardware and equipment. For shareholders in the services segment, the most encouraging news was the conclusion (on 1 September) of Datatec’s sale of the Americas region of its underperforming Westcon-Comstor business for $630 million in cash. Investors cheered the deal with Fortune 500 company Synnex and the Datatec share price rose 25% on the day of the announcement (6 June) before paring gains. This suggested that shareholders believed the sale price was an elegant exit from a problem child. Datatec reported a 78% drop in profit to $10.75 million in the year to February 2017, weighed down by the challenging deployment of business management software at Westcon, its biggest unit. The problems in rolling out both SAP enterprise resource planning software and business processing outsourcing software were not experienced in the Americas – where the Synnex deal was agreed to – but rather in Asia and Europe. Technology is synonymous with change and at Altron that is certainly the case. Founded by Bill Venter more than 50 years ago, the company has been through a period of intense restructuring. Venter retired as non-executive chairman at the end of February (he remains on the board as both a non-executive director of the group and as chairman emeritus) while his son Robbie stepped down as CEO in April and was replaced by Mteto Nyati, an ICT heavyweight who was previously at MTN and has also worked at IBM and Microsoft. Last December, the group finalised negotiations with investment company Value Capital Partners for a R400 million injection of capital. In its latest integrated annual report, Altron said FY 2017 was ‘the year in which we started to fundamentally change the structure of the group’. Altron received the balance of the proceeds from the sale of Altech Autopage and also sold a majority equity interest in Aberdare Cables. Altron said it had entered into strategic partnerships internationally with Nokia and British Telecoms, while its focus in 2018 will be on ‘organic and acquisitive growth’. EOH Holdings has been the standout software implementer. Operating profits in financial 2016 were more than 13 times higher than in 2009, driven by an ability to successfully bed down acquisitions as well as organic growth. The accompanying rapid rise in the share price allowed EOH to finance acquisitions inexpensively by paying for them in EOH shares. However, in December 2016 the share price started slipping as investors became uneasy that a now much bigger EOH – already the largest player in SA – would find target companies (acquisitions) large enough to continue delivering double-digit earnings growth. EOH reported in March that in the first-half to January 2017, earnings growth still powered on. Profit was up 29% to R597 million, outpacing revenue growth. For investors, the combination of the continued buoyant earnings growth rate and the depressed share price made EOH’s financial results release for the year to July 2017 one of the most anticipated in the market. 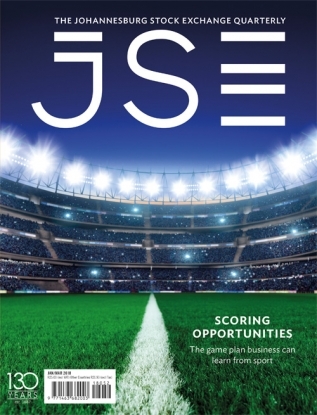 According to the Stock Exchange News Service company announcement for EOH, for some investors – such as asset manager Foord – the subdued share price made for an attractive ‘value’ entry point. Since the first-half results were published, EOH indicated in a September trading update that the earnings-per-share growth rate had declined but was still expected to be positive. In this statement, EOH said earnings per share for the year to July 2017 were forecast to be between 10% and 20% higher. More specific details of this performance will be available when EOH reports their full-year results. Capital Appreciation, which listed in 2015, is a SPAC (special purpose acquisition company), with an interest in fintech. 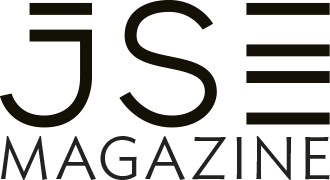 Capital’s acquisitions include African Resonance, a provider of payment infrastructure and related services; Dashpay, a ‘multi-product transacting platform, essentially for the facilitation of business-to-business payment-related products’ and Synthesis – founded in 1997 – which offers consulting services, specialised software development, and tech-based solutions to banks and financial institutions. ‘While our efforts in identifying prospective opportunities will not be limited to a particular industry or geographic region within South Africa and/or Africa, we expect to focus on acquiring businesses in the services sector,’ says the company with regard to its investment strategy. Adapt IT, unlike EOH, reported business sentiment and trading conditions in the year to June 2017 that showed similarities with the by now all too familiar refrain of ‘tough’ and ‘challenging’ that emanate from ‘SA Inc’ companies. However, the language used by Adapt IT to describe conditions was hardly on the severe end of the spectrum. The company’s chairman, Craig Chambers, highlighted the difficult environment. ‘The challenging economic environment persisted in South Africa in 2016, with negligible annual GDP growth of 0.3%, negatively impacting customer spend on information technology and services,’ said Chambers. According to Adapt IT CEO Sbu Shabalala, when it came to describing the financial performance achieved in this environment, it was a more heartening ‘steady’. Adapt IT reported a strong turnover growth of 25% to R994 million in the year to June 2017 but most of this came from acquisitions rather than from existing businesses. Profit growth, while up 14% to R88 million, was slower than turnover growth. This came as margins moderated in financial 2017 following three years of strong margin expansion. Small-cap ISA operates in the fast-growing information security space, which is increasingly seen as an essential online service for protecting both corporate reputations and profits. Globally, Cadbury maker Mondelez and Durex producer Reckitt Benckiser were hit by cyberattacks in 2017, which combined cost them hundreds of thousands of pounds in lost sales. SA corporates may be even further behind the curve than multinationals in investing in security. Nevertheless, ISA recorded buoyant revenue and profit growth, driven by acquisitions and, importantly, by organic growth too. According to ISA CEO Clifford Katz, turnover was up 77% to R160 million and profit up 54% to R30 million in the year to February 2017. PBT Group, a business intelligence company, underwent a transformational change in 2017 after selling an unrelated stake in Prescient Holdings for R1.43 billion to Christo Wiese’s Stellar Capital Partners. The transaction resulted in the company changing its name from Prescient Holdings to PBT Group. The company is positioned in the fast-growing big data space, analysing information to increase efficiency and sales at client firms. In the year to March 2017, PBT swung to a loss after excluding the business sold to Stellar, following problems in its rest of Africa business. The group made a loss of R24 million from continuing operations after an impairment of R32 million in the rest of Africa. Meanwhile, Cognition Holdings has to date successfully been transitioning from a data exchange services company – which provides SMS interaction with consumers for TV shows – toa data analysis company. For example, Cognition analyses the consumer data generated from TV show text messages – another sign that the traditional IT market is evolving. Jasco Electronics Holdings, provider of enhanced telecoms such as instant communication for corporates and video conferencing, reported a 6.5% rise in profit in the six months to December 2016. However, revenue was down 7% as Jasco committed to focus only on sales that met acceptable profitability metrics. SilverBridge is a provider of insurance software solutions in Africa with operations in 12 countries. Revenue was just in excess of R93 million for FY 2017, up from R86.4 million in 2016 and profit before tax was R14.1 million. The company said it has received its financial service provider licence ‘for the provision of administration services for certain insurance categories in South Africa that will help us build a solid base for our managed services business’. Total Client Services, a loss-making provider of smart roadblock technology to traffic police, has been reported by its auditor authorities for irregularities, and was suspended by the JSE. 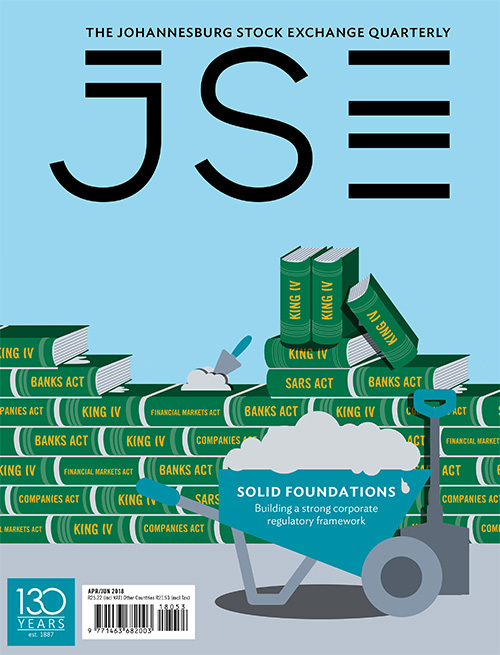 The rest of the JSE-listed technology board is made up of the technology hardware and equipment mini-sector. Like the software companies, the hardware players do not, in general, produce original products but are rather resellers of brands tailored to the local market. Alviva Holdings, formerly Pinnacle Holdings, is easily the biggest of the hardware groups, distributing the global brands of products such as computer servers and desktops. In August 2017, Alviva released a buoyant trading statement for the year to June 2017. 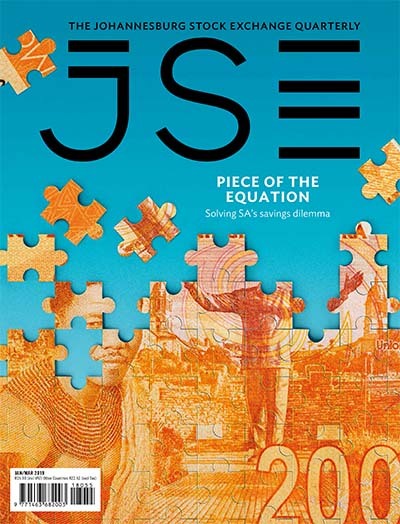 The company reported that headline earnings, which strip out certain one-time items, had grown between 21% and 25% to between R394 million and R409 million. Alviva added that the positive performance had been experienced across all operations, despite difficult market conditions. Arthur Goldstuck, managing director of technology researcher World Wide Worx says the rise of ‘digitalisation’ has allowed smaller IT players into the market and also changed the focus of business evolution from hardware to software-based platforms. ‘With the likes of Amazon Web Services, Microsoft and Google offering cloud, big data analytics and artificial intelligence on a scalable, flexible and pay-as-you-use basis, the game is over for big contracts that don’t enhance competitiveness or solve core business challenges,’ he says. Mustek, an assembler and distributor of IT equipment, said revenue was flat in the year to June 2017 due to reduced spending by government. Profits slipped as Mustek found itself overstocked, resulting in a renewed focus on managing working capital management. The company and partners have also allocated capital in fibre-optic cabling, an area where global demand is strong. According to Mustek, production at the new fibre-optic cabling factory in KwaZulu-Natal began in January 2017, and achieved an operating profit in July. Alaris Holdings, a defence contractor backed by PSG Group, designs and manufactures specialised broadband antennas for ‘electronic warfare’. The radio frequency group, which has a factory in Finland, is primarily an exporter, including to the US. A company such as Alaris, one of the only listed technology companies that ‘lives or dies’ by its intellectual property, may theoretically offer the biggest growth opportunities. However, this is appropriate for investors with discretionary capital. For the sellers and maintainers of software, there are opportunities to grow margins if they tailor their services to growing the bottom line of clients, such as the cheaper storage option of cloud services. For these services players, this can involve hard choices about embracing lower revenue business models if they come with higher margins. The IT jargon ‘shrink to grow’ may be most relevant here. They will be all too aware that, across the globe, a retailer – albeit an online one – with some of the most patient capital has in a short space of time ‘stolen their lunch’. That retailer is Amazon, which has grown into one of the world’s leading cloud service providers.